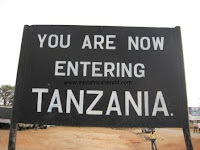 Tanzania has imposed a 33 per cent increase in work permit fees on residents of other East African Community member states, putting to test a treaty launched two years ago to ease movement of professionals in the region. The country’s home affairs ministry last week directed all foreigners to seek fresh documents, saying the residence permits that are in force would expire at the end of this year. “All foreigners holding resident permits “A”, “B” and “C” are informed that with effect from August 01, 2012 they are required to submit their Residence Permits at Regional and District Immigration Offices for replacement,” a notice on the Tanzania Principal Commissioner of Immigration website reads. Although the directive says old permits would be renewed at no additional cost, persons and businesses seeking permits for the first time will obtain them at the new rates. The order affects self-employed foreigners (holders of Residence Permit Class “A”), firms which intend to transfer employees to Tanzania (Class “B”) and permits usually held by missionaries, students, foreign volunteers, researchers and retired foreign nationals (Class C). The employers who opt to transfer part of their workforce to Tanzania will now pay $2000 (Sh168, 000) per employee, a 33 per cent increase from $1,500 (Sh126, 000). Self employed pensioners will now pay between $1,000 (Sh84,000) to $3,000 (Sh252,000) depending on business type while class “C” holders are now required to pay between $200 and $500 to be allowed to work in Tanzania. The statement comes two years after the East African Community launched a common market protocol to ease the exchange of labour and other factors of production across the border. “The new fees for the work permits are very high and not everyone in the private sector can afford them,” The East African Business Council, a lobby group from region’s businesses, said on Monday. Kenya and Rwanda became the first states to scrap work permit fees on citizens by December 2010, raising hope that Tanzania, Uganda, and Burundi would follow suit shortly. The reverse action of Tanzanian government exposes how national agencies are likely to exploit loopholes in the common market protocol to frustrate the search for a regional free market economy in future. “When there are such barriers, the free movement of persons which is one of the great milestones envisaged in the East African Integration cannot be achieved,” EABC said calling for intervention from the council of ministers. The increased work permit charges and other administrative barriers that have cropped up lately will be discussed during the EAC’s council of ministers annual meeting in November. “We won’t give room for any of these arbitrary charges since they may give an impression that member states are free to renegotiate the common market protocol,” said Mr Musa Sirma, Kenya’s EAC minister and current chairman of the region’s council of ministers. However, Tanzania is exploiting a clause in the protocol allowing member countries to subject rights such immigration, establishment and access to land to national laws. The clause was inserted to win over members who were hesitant in signing the protocol. 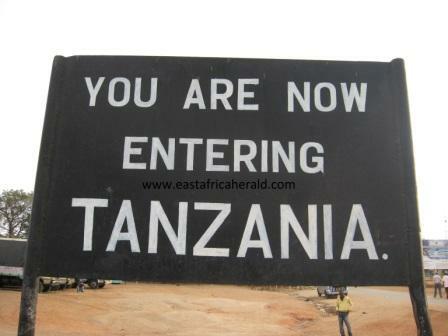 “Tanzania was within its sovereign right to increase its work permit fees but we expect it to create concessions that distinguish east African citizens and their businesses from other foreigners,” Peter Kiguta, EAC’s director of trade and customs told the Business Daily in Nairobi on Monday.